There are many interesting wrecks to the East and South of the Isle of Wight and if the wind blows up from the west, the island can afford some shelter to permit diving in Sandown Bay for high or low water slacks. Most of the wrecks further out and south are only diveable on the low water slack which probably explains why there isn’t a full-time presence of a dive charter boat in Gosport. Sussex only operates out of Gosport by prior arrangement if there is a demand for 3 or 4 days consecutive diving during a morning low water slack period. Sunk: After surviving a collision with HMS Decoy on the 6th February 1918, HMS Boxer collided again on the 8 Feb 1918 with the hospital ship St. Patrick just SE of Dunnose Point. HMS Boxer eventually sunk in Sandown Bay with the loss of one crew. Details: The 260 ton HMS Boxer was one of the Royal Navy’s ‘A’ class torpedo boat destroyers. Build in 1895, her coal powered triple expansion engines could achieve a top speed of over 29 knots. Diving: The wreck today is broken up with the three large boilers still standing 3 metres proud of the seabed. This is a popular 20m wreck dive with much wreckage to be explored. Sunk: 12 April, 1918 by UC-71 with two torpedoes hitting the port side while passing St Catherine´s Point, Isle of Wight, finally coming to rest in Sandown Bay, loss of 4 crew. Details: The SS Luis was a British steamer of 4284 tons built by W. Gray & Co. Ltd., West Hartlepool in 1916 and owned by C. Nielsen & Sons, Hartlepool. The Luis was on passage from Nova Scotia, Halifax to Portsmouth with a cargo of 7.000 tons of flour, oats, timber and anti-personnel artillery shells. Diving: Although the wreck was dispersal in 1923 and salvage in 1970, the wreck today is upright on a chalk rock bottom. The stern area standing 4m proud of seabed wreckage, the two boilers are upright and intact. Divers may still see 18pdr shell cases and brass shell heads to the north of the boilers. The area off the site is rocky and offers the opportunity to catch crabs and lobsters with the odd fossils to be found. Sunk: The Camswan was on route from Blyth to Naples on her maiden voyage with a cargo of coal. On 19 October 1917 she was in collision with another vessel, the Polbrai, 8 miles SW of St Catherine’s Point. She made it to Sandown Bay, sinking 1 1/2 miles SE of Culver Cliff. At the time of loss the Camswan was owned by Osborne S.S. Co. Details: The SS Camswan was a British steamer of 3426 Tons, 105 metre long built by Blyth Shipbuilding Company, Osborne S.S. Co.; 1917 with 298 hp triple expansion engines. Diving: The wreck today is collapsed in some places with the bows to the E and at the stern the rudder is still in position. The wreck stands 4 metres proud of the seabed in 18m on a sand and gravel bottom. The wreck has lots of marine life like conger, pollack and wrasse and with the usual shoals of bib. 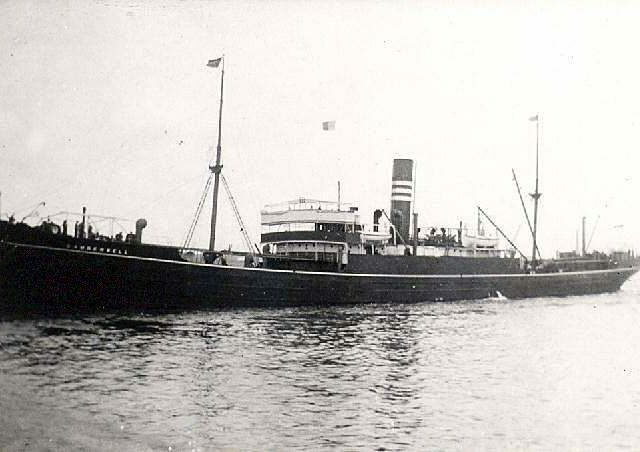 Details: The Polo was a British armed cargo steamship built 1913 by Earle’s Shipbuilding & Engineering Co. Ltd. (C. & W. Earle), 1906 tons, 91.4m x 13.6 m. Triple expansion engine 217 h.p., two boilers, single screw. Owned by Ellerman Wilson Line Ltd. Diving: The Polo stands 8m proud of a shingle seabed, is listing to port in 28m. There are always large shoals hanging around the boilers. Details: Norwegian Steel Cargo Steamship owners Heistein Thv. B. & Sønner, built 1896 by the Short Brothers Ltd., 2750tons, 98m x 13m x 6.63m, triple expansion 252hp engines, single shaft, 1 screw. Diving: The Asborg is off St Catherine’s Point and past the shelter of the Isle of White. This wreck lies in about 28mtrs, upright with parts of the stern still standing, forward of the large, single boiler the wreck is flattened, but much of the cargo of steel lies on the seabed. boiler and engine are the highest part of the wreck. It should be noted that this site has not been positively identified. 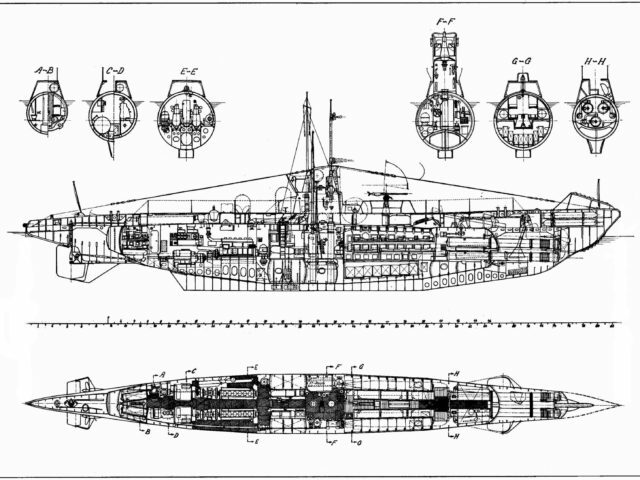 Details: German Navy (Kriegsmarine) WW2 Submarine type VII C built, Schichau F. Werft (Ferdinand Schichau), 865 tons, 67.1m x 6.18m x 4.74m, engines 2 × supercharged (Germaniawerft or MAN), 6-cylinder, 4-stroke M6V 40/46 diesels (3200 hp), 2 electric motors (750 hp), 2 x 62 batteries. Armament 14 torpedoes, 5 x T.T. 53.3 cm, 4 (fwd), 1 (aft), 1 x 8.8 cm L/45 deck gun, 1 x 2 cm or 2 x 2 cm or 1 x 3.7 A.A. Diving: The U1195 is intact in 30m of water upright with a a 45deg list to starboard. Bows towards 120-150 degs. Largely intact but the outer skin is deteriorating in a number of places. Approx 2-3mtrs fwd of the conning tower there is a clear vertical break in the hull. Port shaft and prop are visible. Tower is intact except for the snorkel which has collapsed onto the seabed of coarse sand. Details: Ex-William Branfoot. Built in 1888 by J L Thompson & Sons, Sunderland. Owned at time of loss by Ocean Soc Anon Belge D’arm. One Boiler, Triple Expansion Engine Of 211nhp, Single Shaft. 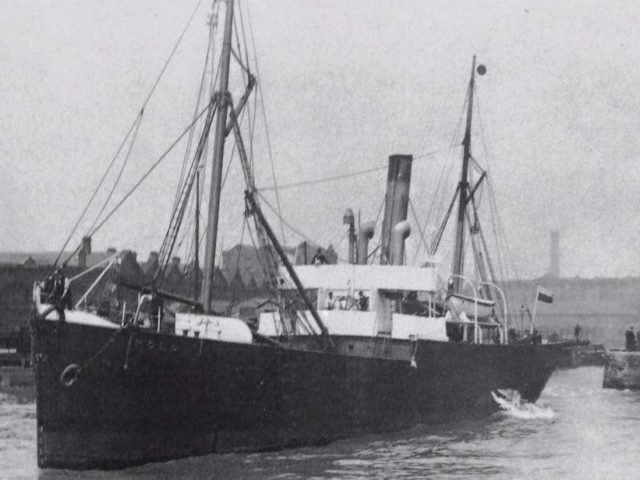 Diving: The Kurland was carrying a cargo of boxed .303 Lee Enfield Rifles and other munitions when she sank. The central section is well broken up, the bow and stern sections sit around 7 proud of the gravel seabed sea floor. The barrels of the rifles and other metal components have long since disintegrated, the wooden stocks have survived and can be seen. 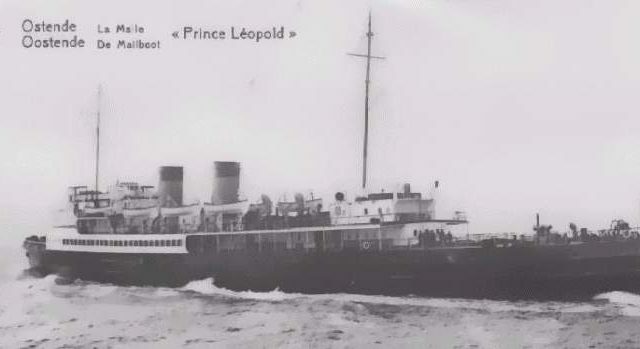 Diving: The Leopold is upright on a gravel seabed with a list to starboard and although the superstructure has been swept away, the hull stands 10m proud of the seabed with the highest point being the Bofors Gun. There is a large hole on port side caused by torpedo damage. This is an interesting wreck but care must be taken, as there are still depth charges on racks at stern. Sunk: 07 July 1918. Torpedoed and sunk by UC-71 while on passage from London bound for Buenos Aires. General Cargo including (as reported) 1000 Tons Government Cargo, 11 head of Cattle, Tin Ingots and Telephone Equipment (candlestick telephones). Details: Built In 1901 by W Beardmore & Co Ltd, Glasgow, 5,600 tons, 117.3m x 15.2m. Owned at time of loss by Nelson Line Ltd. Four Boilers, Triple Expansion 653hp Engine, Single Shaft. Diving: Bows east, lists 45 degs to port, stern 6m above the sandy seabed is the highest part. The middle section is well broken up with cargo all around. The stern is twisted onto its side but the gun can still be seen. Details: Built in 1903 by J L Thompson & Sons Ltd, Sunderland. Owned at time of loss by Well Line Ltd. Three Boilers, Triple Expansion 409hp Engine, Single Shaft. With a General Cargo. Diving: Intact stands approximately 8mtrs high at the stern and bow with centre section broken up exposing the cargo. Sunk: 25 November 1917, Struck a mine laid by UC-63 with no loss of life. Details: British tanker steamship built 1899 by Armstrong W. G. & Whitworth Co. Ltd., 3764tons, 102m x 13.9m x 8.7 m, 1 triple expansion 284hp engine, single shaft, 1 screw, 2 boilers. Owners Lane & Macandrew Ltd. – Petroleum S. S. Co. Diving: The Oriflamme is off St Catherine’s Point and past the shelter of the Isle of White. Stands up 10m, intact, on port side, bows northeast. This wreck lies against a wall. 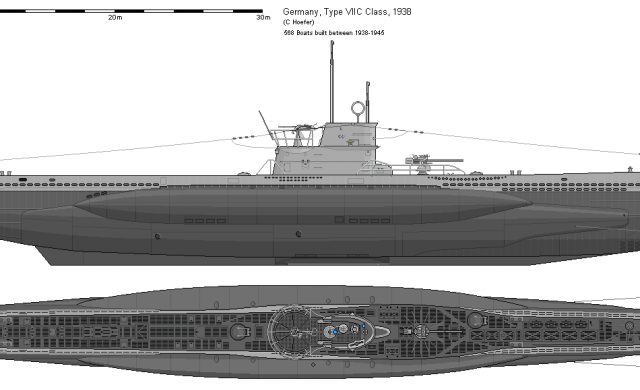 Sunk: While in VWP 16 convey on April 6th 1945 she was attacked by U-1195 (Kapitanleutnant Ernst Cordes) and sunk with a single torpedo. 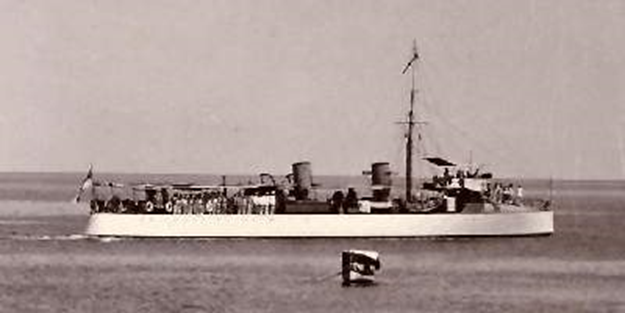 Later that day HMS Watchman (Destroyer D-26) depth charges and sinks the U-1195. Details: The SS Cuba was built in Newcastle in 1923 and owned by the French Shipping Company, Compagnie Générale Transatlantique. The Cuba was taken a war prize by the Royal Navy and used as troopship, manned by 223 crew, 29 gunners, 10 Army staff and 3 signallers. Diving: The Cuba is a good rummage with all the associated equipment of a 11,000 ton Liner. There is much sea life on this huge site.